The term “1% Motorcycle Club” is commonly used to describe outlaw motorcycle clubs such as the Hells Angels Motorcycle Club, the Bandidos Motorcycle Club, Pagans Motorcycle Club or the Outlaws Motorcycle Club, as the other 99% of motorcycle riders are law-abiding citizens. Outlaw motorcycle clubs gained momentum in the latter half of the 1940’s, the timing was not random. World War 2 was just over and there were a large number of ex-servicemen returning from the war who found that there was not the same “rush” as in battle when they were back at home with a normal life. At this same time there were also a large number of ex-military Harley Davidson motorcycles that were no longer required. Put the two of these items together and suddenly you had the fix for the boredom of the ex-servicemen. They had now regained their excitement as well as had a way to continue their brotherhood. Above photo: A meeting between some of the most well known clubs. 1% motorcycle clubs are spread throughout the world, with clubs such as the Hells Angels Motorcycle Club or Outlaws Motorcycle Club breaking their club down into smaller parts, known as “chapters” or “charters”, in many different cities. These outlaw motorcycle clubs are usually legal entities and often have supporter gear that you can purchase. Hells Angels Motorcycle Club– Founded in 1948 in California. Well known for the likes of Oakland chapter founder Ralph “Sonny” Barger and was also the subject of a book by Hunter S Thompson. Bandidos Motorcycle Club – Founded in 1966 in Texas. Pagan’s Motorcycle Club – Founded in 1959 in Maryland. Outlaws Motorcycle Club – Founded in 1935 in McCook, Illinois. Outlaws MC is one of the largest one percenter motorcycle clubs in the world. Warlocks Motorcycle Club – Founded in 1967 in Florida. Gypsy Joker Motorcycle Club – Founded in 1956 in California. Mongols Motorcycle Club – Founded in 1969 in California. Zulus Motorcycle Club (known for being one of the only black clubs) – Founded in 1969. 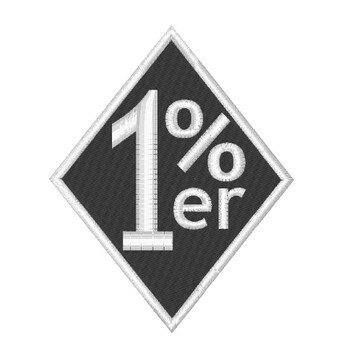 Clubs who have defined themselves as 1% motorcycle clubs will wear a patch with “1%” or “1%er” on their vest. The media often shows stories on 1% motorcycle clubs, in most situations highlighting some sort of violent crime which has occurred. While it is true that there are crimes committed by some members of clubs, the airtime given to the clubs is most often disproportionate to the volume of crime in a bid to increase fear in the public. 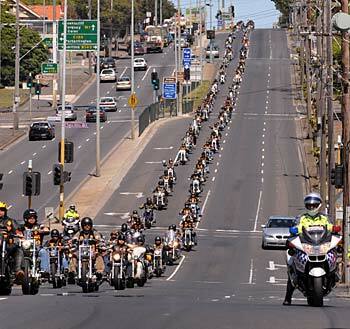 While innocent citizens have been harmed, the large majority of outlaw motorcycle club related violent crime is amongst clubs and in general the old saying of “stay out of their way and they will stay out of yours” rings true. US Government agencies are now able to charge the big four clubs (the Hells Angels Motorcycle Club, Bandidos Motorcycle Club, Outlaws Motorcycle Club and Pagans Motorcycle Club) under the RICO statute (Racketeer Influenced and Corrupt Organizations Act). This was the statute that was created in order to attempt to bring down the power of the Mafia. 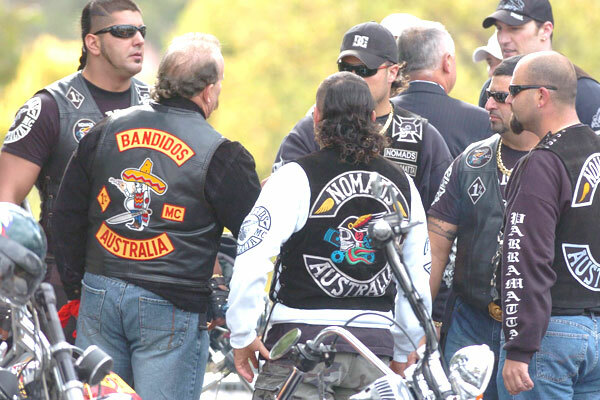 Outside of the United States of America there are also positions being taken against Outlaw Motorcycle Clubs by other governments. These attempts are to introduce similar laws to ban the contact of club members with one another. Now you should have all the information to be able to answer your friends when they next ask “what is a one percenter motorcycle club?”.